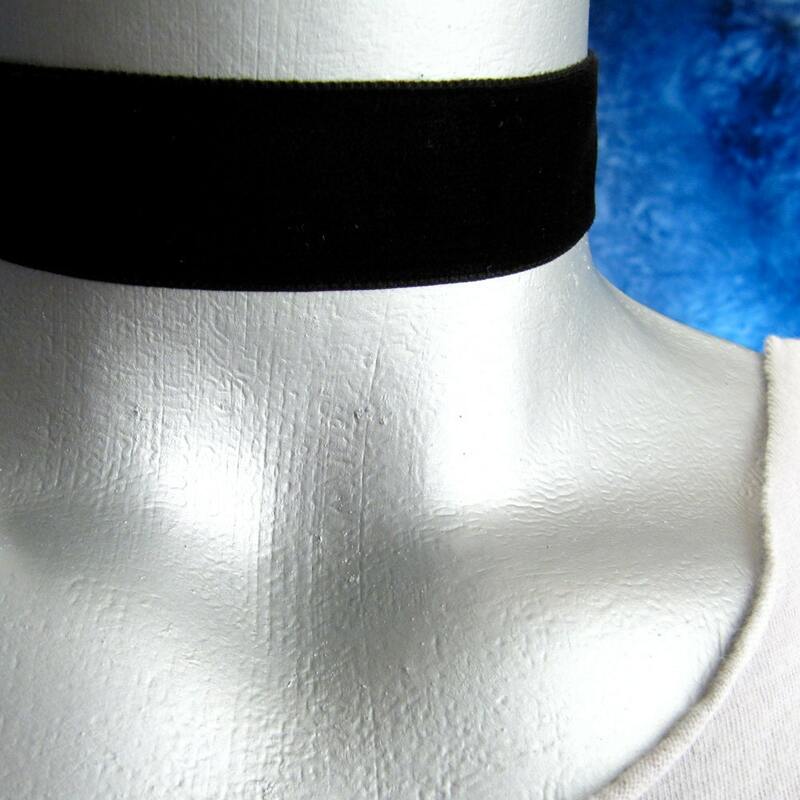 A classic, simple, plain, black velvet ribbon choker for any occasion. 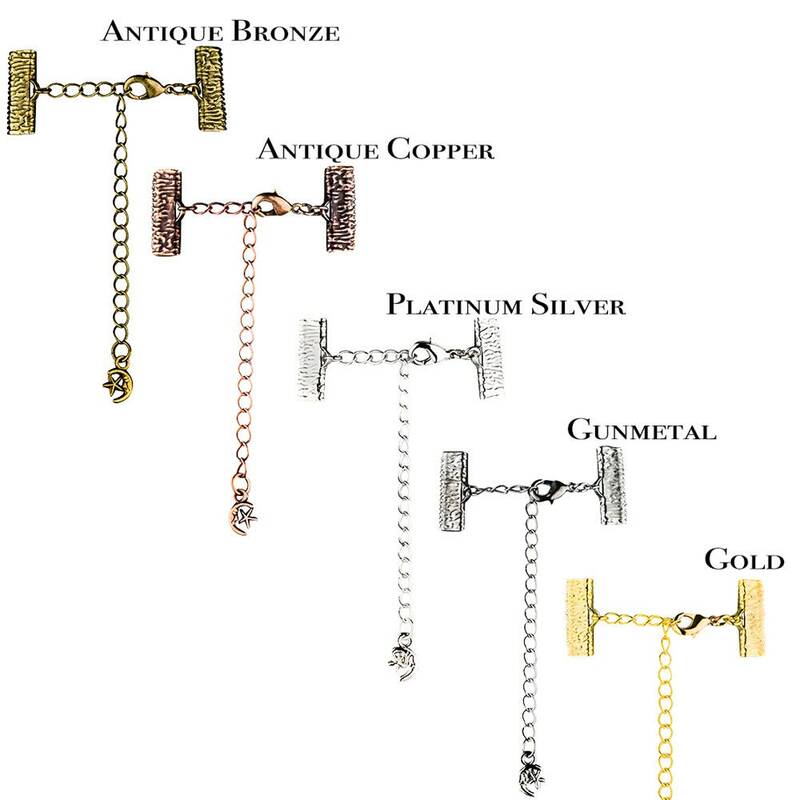 * 3" extension chain for the best fit. * Handmade in the U.S.
S fits 10.75" - 13.75"
M fits 11.75" - 14.75"
L fits 12.75" - 15.75"
XL fits 13.75" - 16.75"
XXL fits 14.75" - 17.75"
Measure your neck and pick the size that your neck's circumference falls right about the middle of. That way you'll have room for adjustment smaller or larger. - Each choker necklace is made by hand and shipped via First Class with Delivery Confirmation USPS within about a day of receiving your paid order so your choker arrives in your mailbox quickly. -Each necklace will be carefully wrapped in a tiny box and arrive ready for you to wear. - If you choose to personalize your choker by taking it a step further, just add your own charm! Or give it to someone as an easy, treasured gift. See my other listings for other types of leather chokers. I make them from my huge inventory of leather, trims, ribbons and findings. I've made and sold over a thousand chokers at craft fairs and on other online venues. I simply love making and wearing them!